Your yard plays a direct and vital role in your home’s curb appeal. It can be a source of considerable pride and the envy of your neighbors. On the other hand, it could be an embarrassment that you wish that you could hide from the neighbors. You understandably want your lawn to look healthy, vibrant and absolutely pristine this summer. However, if you have struggled with achieving this goal in the past, you may be wondering what you need to do to improve your results in the coming season. Some people make some fairly common mistakes when it comes to lawn care that have a damaging effect, and understanding proper maintenance steps may help you to learn more about what you may have been doing wrong in the past. If you are like many other people, you think that the picture-perfect image of a pristine lawn is one that has been freshly edged and mowed. It may even have perfectly even lines from the lawnmower visible. While this is one vision of a beautiful yard, it is not a vision that you should expect to have on a daily basis. When you mow too frequently and when the blade is too low, you risk stressing out your grass. 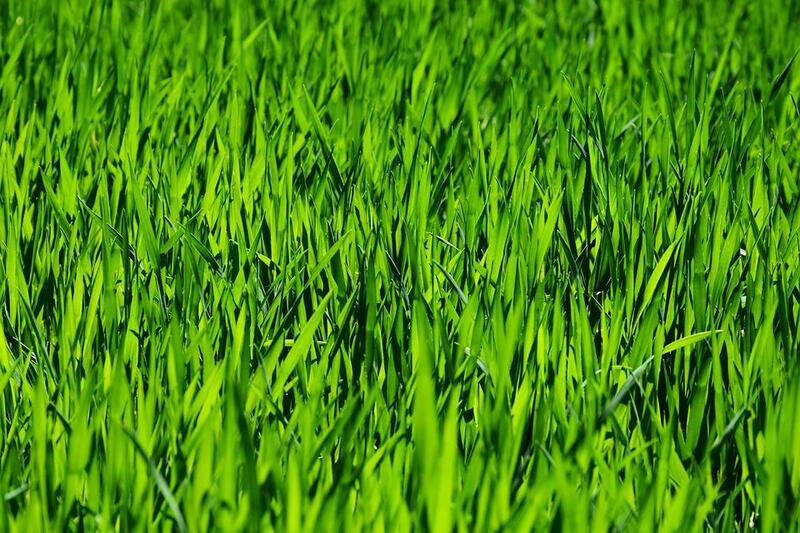 For a truly healthy lawn, you need to allow the grass blades to grow a few inches before you mow. Many people also overwater their lawn or water it too frequently. When you water daily, you may be inclined to only water for a few minutes because you know the lawn just received water the day before. However, the best type of watering is a long, drenching soak that encourages the grass roots to dig deep and to get truly established in the soil. With this in mind, it is best to allow the sprinkler to run on a regular schedule every couple of days. The best time to water is late at night or in the very early morning hours. This will prevent the sun from heating the water on the blades and scorching the grass. With all of these factors in mind, you can see that the easiest way to properly hydrate your lawn in the summer months is with the help of a sprinkler system. Ensure that you invest in a sprinkler system that has an intelligent rain sensor. A common mistake that people make when their lawn looks less healthy than they would like is to fertilize it. For example, the lawn may be brownish because you have mowed it too short or because the sun has scorched hot water on the grass blades. However, someone may mistake these signs of stress for insufficient nutrients in the soil. Many people do not know when to fertilize or how much fertilizer to put on. They also do not know what type of fertilizer to use. Rather than risk damaging your grass by making the wrong decision, it may be best to let the professionals handle this important aspect of lawn care. You can learn a lot about the health of your lawn and about its various needs by being truly observant. Spend time walking around your yard and observing areas that may be growing brown or where there may be water puddles. Look for pests and weeds. Pay attention to how thick or bare patches may be. You must understand and truly be aware of what is going on with your yard before you can know the proper steps to take. Your lawn will speak to you in a way to tell you what it needs for optimal health, but you need to be open to listening to what it tells you. Growing and maintaining a healthy, lush lawn can seem like an enigma to some people, but it seems to come so naturally to others. You can see that you may have been making some very common yet very destructive mistakes in the past. Now that you are aware of what it takes to have a beautiful lawn this summer, you can take the proper steps to help your yard thrive all summer and beyond.